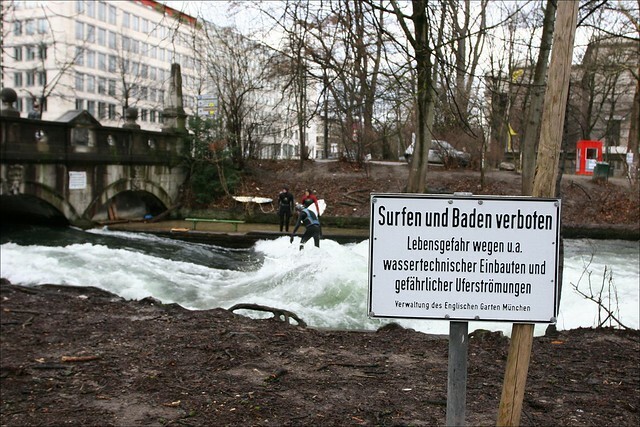 A few years ago a good friend and I were walking through Munich’s famed Englischer Garten when we came across some guys surfing in a fast-flowing canal. It was really amusing to see these guys surf back and forth for a minute or two before falling or conceding to the next surfer. While it was highly unusual to see people surfing downtown in a city, it was at least summer-time and quite hot. It turns out there are crazies there all year surfing. I was in Munich over the weekend with my wife and her sister Alix, and so I told them about the surfers I saw a few years back. We were close to the area, and so I walked them over there. 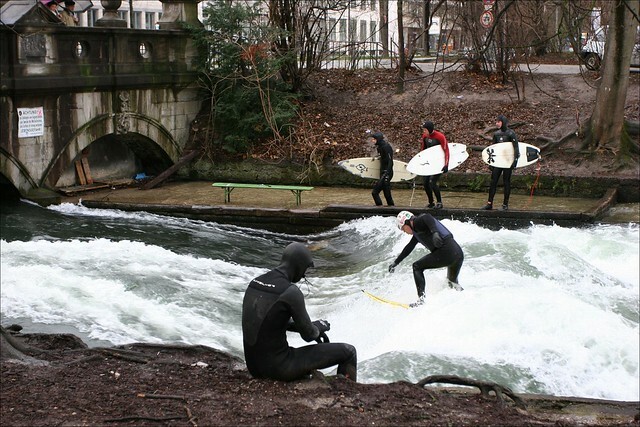 It was fairly cold out, 2-3 degrees Celcius, but there were 4-5 guys having a blast surfing in the canal. I snapped a few shots. If you’re ever in Munich, take a couple of hours to walk through the English Gardens. 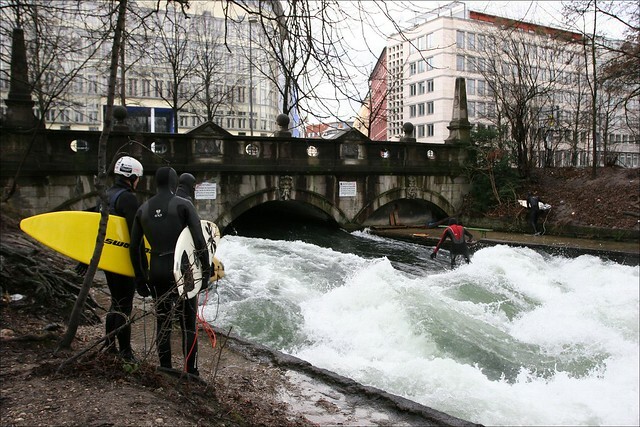 It’s huge and quite enjoyable to walk through, and be sure to look for the surfers of Munich. The canal is near the south-west end of the park, or just ask a local to point you in the right direction.